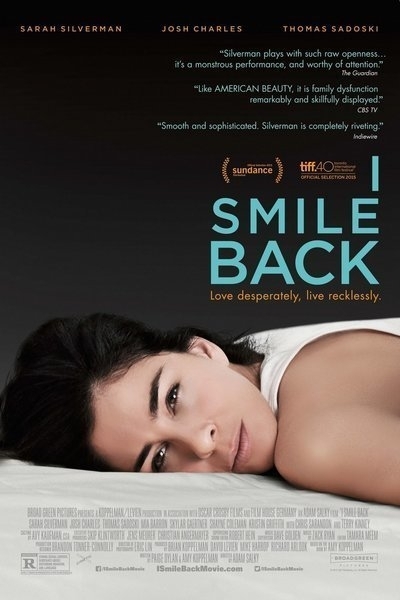 Directed by Adam Salky, I Smile Back was adapted from the novel of the same name by Amy Koppelman. This is the story of Laney (Sarah Silverman), a middle-aged housewife, with some clear mental issues coupled with addiction and depression. On the surface, one would consider the structure of Laney’s life to be idyllic. She is a stay at home mom with two kids, a boy (Skylar Gaertnar) and a girl (Shayne Coleman). Her husband is a successful provider with a middle-class lifestyle. Laney is also an addict. 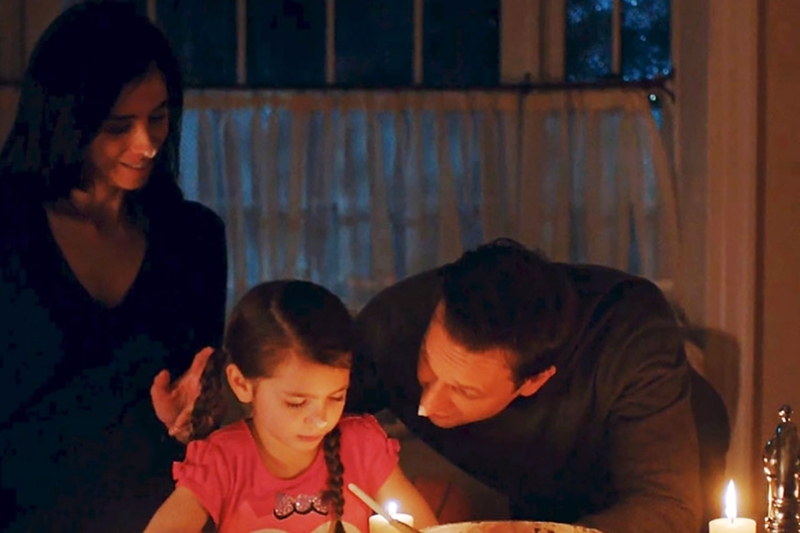 We see her barely, and not so effectively, holding it together early in the movie as she drops off her kids to school in a less than perfect fashion and proceeds to an extramarital drug infused tryst with a dad of a friend. Soon after, Laney is admitted into a rehab program to pull herself together. You want Laney to succeed, but you see you can tell this movie is just not going to have that happy ending. It does not shy away from the stark and hopeless nature of addiction and the degenerative path it can lead you to. In one poignant passage, Laney questions why we should love anything, when we all know that we will all feel the pain of death and loss of loved ones in the end. This was a dark exposing display by an actress otherwise known for her comedy. Gone from Sarah’s performance was the childish persona, marked by an innocent voice and playful regard that has been a staple of her career. This was a linear tale, however, and would have been better served with a more dynamic portrayal of her husband. He came off as too weak against her wanton behavior and seemed to just be going through the motions in this addiction tale.